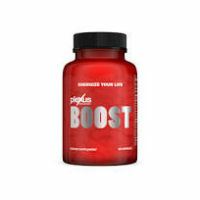 Plexus Boost is a nonprescription diet pill that is meant to provide a companion to another product called Plexus Slim, from the same manufacturer. While it can be used on its own, the recommendation is to pair the two products together in order to be able to get a diet going and work toward achieving health goals. The benefits offered by Plexus Boost, according to the official website for the product, are focused on hunger suppression. The description of the product claims that its botanical and super food-based proprietary formula are behind the powerful appetite suppression. At the core of this formulation is an ingredient called Carallum Fimbriata. That substance is a type of cactus. It is edible and certain East Indian tribes have traditionally used it for hunger suppression. That said, while it was used in traditional medicine among those tribal communities, science has yet to prove that this ingredient can provide the claimed benefits. This doesn’t necessarily mean that Plexus Boost won’t help to suppress hunger. It may very well work. 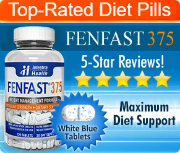 However, at the time of the writing of this review, there weren’t any significant scientific studies published in reputable medical journals that would indicate that the use of this formulation can be directly connected to weight loss. The Plexus Boost capsule is both gluten free and vegetarian. Therefore, it may be appealing to people who have those particular dietary restrictions. According to the product label, the ingredients within this formula include: calcium glycinate, vitamin B6, niacin, chromium picolinate, vitamin B12, folic acid, the Citrus Reticulata/Nelumbo Nucifera blend (made of higenamine from tangerine peel/lotus seed),yerba mate extract, caralluma fimbriata extract and green tea extract. The non-active ingredients include rice flour and magnesium stearate. 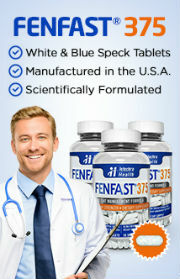 One serving of this product is made of two capsules. As each bottle of Plexus Boost contains 30 capsules, it’s important to note that each bottle will last for only fifteen daily servings. Therefore, a monthly supply will require the user to purchase two bottles, not just one. That said, there are larger thirty day supplies available containing sixty capsules. It is important to choose the right product if you intend to continue taking the product for more than a couple of weeks. That said, before trying this product, it is highly recommended that you speak with a doctor as it is not appropriate for everyone. Be sure to bring any medical conditions, dietary supplements and medications you are taking when you speak with your doctor. This will help to reduce the risk of conflict.